Squinks, if you want to start the new year off with the right book, I’ve got the perfect one for you: Frank L. Cole’s Potion Masters: The Eternity Elixir. I guarantee you’ll be able to say you’ve at least read one great book this year. 2. Gordy is a great protagonist. He’s curious and thoughtful and creative and courageous. He loves to experiment with and without his mom’s permission, but he’s got a lot of respect for both of his parents, which means they have a great relationship. I think I’m drawn to Gordy because he doesn’t rest on his laurels. He may have an insanely incredible innate talent at Deciphering and Blind Batching, but he’s eager to continue developing his skills. I have lots of admiration for that. Throughout the story, Gordy encounters difficult decisions he has to make, but he uses the right amount of his heart and head to choose his path. All in all, he’s a very likable protagonist, and one I’m eager to read more about. I only hope that there are skeletons in his closet that will be revealed in future books because I think Gordy has the makings of a classic character. 3. And where would main characters be without their loyal sidekicks? I’m glad that Cole doesn’t leave Gordy to his own potions. Adilene and Max are good friends who care so much for Gordy that they run to his side (and potential danger) the moment Gordy calls them. The only criticisms I have of this book are mild ones that I hope will be rectified in future novels. One, Max is sometimes a little too rash. I get that he’s excited to help Gordy, but his excitement sometimes leads to trips, spills, and near catastrophes. I can’t fault him for his loyalty to Gordy, and even his grudging appreciation for Adilene, but sometimes, I wish Gordy would tell him to shush a bit more. Two, Adilene doesn’t get as much page time as Max, and I’d’ve really loved reading how she might have handled Bawdry’s energy. And I bet she’d have come up with a better name than “Slim” and “Doll”. I think Cole could have used her contributions as much as he used Max’s. Lastly, I found a few too many similarities between this trio and another famous literary trio. I wonder if maybe in future books Gordy, Adilene, and Max might separate their quirks to solidify themselves as golden in their own right. 5. I love the potions the Elixirists mention and use in this book. As a textbook-chemistry-loving (i.e. I love learning about compounds and reactions without feeling any inclination to concoct my own, or participate in and write up any lab reports) and etymologically passionate (i.e. I do have a degree in and love for linguistics) nerd, Cole’s potions speak to me in a fierce way. There’s the Disfarcar Gel, Goilicanje Juice, and Oighear Ointment, to name a few. I’m sure many people will learn a little bit about a lot of languages from the compendium in this book. Speaking of which … there’s a glossary! I love, love, love maps and glossaries, and the inclusion of a list at the end of the story was like a little gift I devoured at the end. I also love that the Tranquility Swathe originated in Canada. That’s just so Canadian. 7. Teachers/parents, Potion Masters: The Eternity Elixir was one of the last books I read in 2017, and it’s the first one I’ll champion in 2018. It’s a great story for boys and girls alike, seasoned and struggling readers alike, and those who love and are lukewarm to fantasy alike. Readers will encounter fast-paced adventure, inspiring creativity, true friendships, complicated family matters, and a lot of fun. I’ll be picking up this title for my school library, so I will probably create a reading-comprehension handout. Feel free to check back here in a few weeks to see if I do! Thank you, Shadow Mountain, for sending me a copy of Potion Masters: The Eternity Elixir in exchange for an honest review. The next great adventure is upon us, Squinks. Even if you don’t initially choose to be part of the Adventurers Guild, you will find yourself hooked and wanting more. Clark and Eliopulos’ story is one you must get your hands on right away. 1. One of the first things I look for in an adventure story is whether the main character has someone he or she can count on. I don’t like stories where there’s only one main character traversing lands and discovering things on his or her own because there’s no one for that character to talk to, bounce ideas off, or just generally depend on. I was in luck with The Adventurers Guild, for there are TWO main characters at the beginning of the story, with a handful more of important secondary characters that join by the end. 2. Zed (the city’s only half-elf) and Brock (his handsome, long-time best friend) each hope to be chosen for the Mages and Merchants Guilds, respectively. But just when they think they’re about to start new chapters in the lives as members of their guilds, Alabasel Frond, the Guildmistress of the Adventurers Guild chooses Zed. How could Brock not follow his best friend, even though this guild is known for losing its members to fates worse than death? Brock’s decision to volunteer for the Adventurers Guild because Zed is chosen may not have been entirely altruistic, but all throughout the story, over and over again, there is evidence of how much Brock truly cares for his best friend. And Zed feels the same about Brock. If I cared not at all for the story, that fact might have been enough to keep me reading. Their friendship is one for the ages, and you just wish you could be friends with both of them. These two characters are funny and fun to be around. I’m really glad the authors decided to alternate the focus of the chapters between the two of them. The story is still told from third-person perspective, but readers get a slight bias towards one of the boys in each chapter, which adds depth to each character in turn. 3. I love the Guildculling and the energy and anticipation that surrounds it. I’ve always enjoyed doing surveys or quizzes that sort me into a particular group, so I liked learning about the different guilds in Freestone and how each is responsible for the safety of its citizens. I’m very eager to learn more about the different characters in each guild, especially those in some of the lower guilds that didn’t get much screen time. 4. I also love Liza’s character. She can hold her own both in wit and with weapons. She puts up a tough façade, but she slowly reveals bits and pieces about her to the boys, and it turns out that she can make Brock blush. She’s by no means perfect, but she’s definitely interesting. I love the way her storyline is going, and I can’t wait to see how she develops as an Adventurer. 6. What makes this story great is that it is both a plot- and character-driven one. The kids have a mission to save the world, and there are tons of great twists and turns and Dangers along the way. You never know who to trust! But what makes this story a must-read is the cast of characters that Clark and Eliopulos have created. They jive together in a way that is at once recognizable and unique. Even the annoying Micah has his moments that make you feel something beyond your initial loathing for him. 7. Teachers/parents, The Adventurers Guild is a story you must have on your shelves. If your kids haven’t read Zed and Brock’s adventures yet, buy or borrow a copy of this book, and give them an early Christmas present. They’ll never forget it. Of course, that means that you’ll be on the hook for the next titles in this awesome series, but you’ll get there when you get there. The co-authors’ writing is funny and fresh, which make for an utterly compelling story. (There’s a line on page 80 where Zed laughs out loud in response to something that Jett says, and I laughed out loud even before I read that the character laughs out loud. Oh, and my eyes got misty in a few places.) There’s so much to love about this one. I can’t wait for what’s next. 8. Which Guild would take you in? Find out here. Thank you, Disney-Hyperion, for sending me a copy of The Adventurers Guild in exchange for an honest review. Squinks, you really need to read this if you, like me, love stories with British royalty; strong, female friendships; and Canada. This is my first E.K. Johnston title, and I’m so glad I picked it up! 1. Above all else, I feel like this story is a love letter to Canada. The setting is Toronto and the Muskoka Region (a few hours north of the city), but in a reimagined world where Canada is just one of many colonies of a British Empire that never fell. 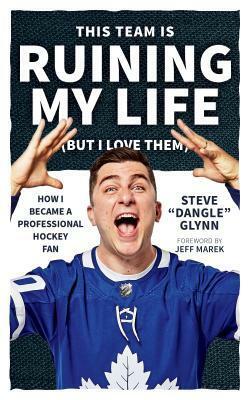 There are so many little nods to real life, including (my favourite) a reference to my beloved Leafs tying things up in the third only to lose, spectacularly, dramatically, and not all that surprisingly in overtime. My husband laughed when I read this part out loud. Other allusions, like the note from the Minister of Transportation reminding officers to prepare for Friday exoduses from the city to cottage country once warmer weather begins, really made the story more enjoyable than it already was. You’d think it’s a small thing, but it really adds to the entertainment value of a story when the readers recognize bits and pieces from real life. 2. Despite the title, the expectations of Victorian England, as they are manoeuvred by the main characters, are just plot devices. Yes, there is British imperialism, but that is the backdrop of the book, not a commentary on why or when or how imperialism might be okay. In fact, Johnston doesn’t shy away from mentioning all the failings and trappings of history’s darker moments, but it’s a different world that plays with the answers to what-if questions. I chose to read this book because I was interested in the characters and what they could do; I didn’t comb through every reference to other cultures and traditions mentioned in the story only to analyze why this culture is mentioned and not that, or why this aspect of Victorian England is highlighted and not that. And, truth be told, I read quickly a lot of the “history” stuff. This book is all about the characters for me. 3. Let’s talk about those characters. There are three fun and feisty women in this story, and I love how Johnston develops them. I particularly like the fact that Margaret and Helena recognize that socialite Elizabeth has more to her than what the paparazzi depict. Elizabeth is genuinely kind and incredibly knowledgeable of how her world works, using that knowledge to her advantage. I also like that Helena, who is introduced as more of a homebody than anything else and who has essentially plotted out her path in life, discovers other interests that draw her out of her shell. She isn’t afraid to stand alone in the corner, waiting for the debutant ball to begin. It’s great that August, her childhood friend, appreciates that Helena had always been happy with herself. And Margaret … I think I like her best of all. I love the push and pull of wanting to do things your own way while knowing you simply cannot. That kind of conflict has always been one of the more interesting ones for me. Commoners often think that royalty have it great, but every one has battles no one else can fathom. Margaret is kind and dutiful, both to herself and to her country, and I think many people will fall in love with her. 5. I love that Margaret is so sure of her duties and responsibilities and restrictions. I love that she knows why she can’t do something even if she really wants to. I love that she’s innately kind and that she doesn’t want to get in the way of others who have found paths that are undeniably less complicated than hers. We forget, sometimes, that not everyone is brought up in a family (or society) that encourages children to be what they want, marry whomever they want, or even think what they want. It’s a great notion that we take for granted in our modern world, but we should remember that it’s not universal. I would have loved to learn more about Margaret. She was my favourite of the three. 6. August is so kind and loyal. Poor guy is in such a quagmire throughout the story. I can only imagine how difficult it must be for him to juggle the problems at work, his parents’ confidence and trust in him, and his own expectations of being a good husband. What a good and flawed guy. 7. Ms. Johnston, can we please, please, have another book? I fell in love with the three girls and August, and I’m so curious to know what life is like for them after the summer is over. But seriously, Squinks … It’s been ages since I finished reading this book, and I’m still wondering how the rest of the summer goes for Margaret, Helena, August, and Elizabeth. There is still so much story to tell! I really do hope Johnston writes a sequel. Thank you, Penguin Random House Canada and Dutton Books, for sending me a copy of That Inevitable Victorian Thing in exchange for an honest review. I love that so far, for the last three years, I’ve had a literary adventure to look forward to in September. It almost makes going back to our regularly scheduled school program bearable. Almost. I’m just glad there’s another Blackthorn Key book. 1. The original Blackthorn Key series was absolutely fantastic. I got a copy of it during the summer of 2015, and I made it the book for our novel-study unit a short while later. I couldn’t put it down, and I’m glad that Kevin Sands has kept up the series. 2. Christopher and Tom’s friendship is one for the books (hehe). They get along so well, but more than that, you can tell that they have genuine respect for one another. Christopher is, by now, known for getting himself into scrapes – completely by chance, of course – and solving riddles to get out of them. But Tom is equally important in this adventure, and I’m glad that this is addressed in the opening pages, for while Christopher has saved London numerous times, his best friend has saved him just as often. It’s a really great friendship that I love to read about. 3. The addition of Sally (and Bridget) to the fold is aces. Some of my kids weren’t too thrilled about it at first, but they came round to appreciating Sally’s role with the boys, eventually recognizing her as instrumental to their adventures. Indeed, she does a great job again in this story where she handles her own as Lady Grace. 4. Kevin Sands is funny. The banter among the trio is funny and witty – totally my type of humour. Christopher is always thinking up crazy schemes, and Tom is one step ahead of him. Well, he just knows his best friend well. Even though he never stops Christopher from doing things, like turning famous paintings in the Louvre upside down, he’s comfortable enough to give Christopher a piece of his mind. And Sally is great at keeping the peace between the two of them when things get too hot to handle. 5. I love that this book takes the kids to Paris. My students were so pleased to be able to translate the various French phrases before Sands gives their English translations. In fact, I would have liked more of this in the story. Maybe it’s because we all grew up with French classes every day, but I thought readers could’ve definitely handled the challenge of figuring out les expressions françaises. I mean, it’s like a code in itself, trying to understand another language, eh? 6. I’m so happy that Master Benedict is everywhere in this book, just as he is in all the other books. I think his conversations with Christopher may be my favourite parts of the entire series. Kids need to know – everyone needs to know – that the people we love leave indelible prints on our hearts. I just love that Sands explores this. 7. I think I like this book more than the second one, Mark of the Plague. Not quite sure why. It might be that the codes and puzzles feel harder this time round, or that it’s set in Paris, or that the kids are surrounded by royalty, or that the story line is full of Knights Templar allusions … I just loved them all. I couldn’t put it down. 8. I hope that Sands stays true to his pattern and that a fourth book will be due next September. Actually, I hope another story comes out sooner because boy, the cliffhanger at the end! But I’ll be happy as long as this series continues for many more books to come. It really is that great. Thank you, Simon and Schuster Canada, for sending me a copy of The Blackthorn Key: The Assassin’s Curse in exchange for an honest review.